It is with great pleasure that our firm, R.J. Sullivan Corporation, will provide a recommendation for your work and that of Architecture Metals, your new firm. Our company specializes in the construction of water and wastewater treatment facilities in South Florida and we have used the services of Osbrone Consulting and Contracting forone of our larger projects located in Palm Beach County. 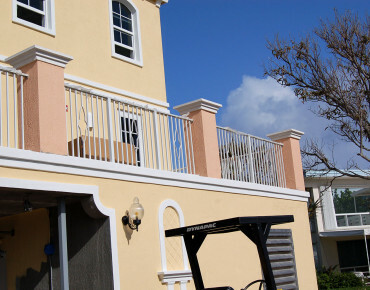 We have been more-than-satisfied with the service and quality of the architectural louvers that were installed. For assistance with creative design for louvers, railings and other miscellaneous metals, we will continue to count on you. We can highly recommend Architecture Metals for similar services, and would not hesitate to work with your new firm again. 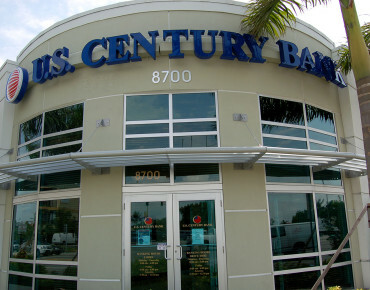 Just a note to let you know that the work that your people did here at the Tamiami Branch of US Century Bank looks really nice – it gives the building a distinct classy look. Your employees were very professional and did not interfere with our customer traffic at all. Please consider this letter a document of recommendation for Architecture Metals Ltd. Co. We have had the opportunity to work with Architecture Metals on an important project for Baylor University Medical Center. 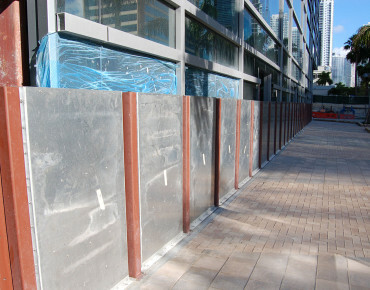 Architecture Metals had the experience, products and ability necessary to successfully provide flood protection to protect our basement in case of rising water. We were very impressed with their expertise, ability to expedite the urgent order, and the professional manner in which they handled our project. We highly recommend Architecture Metals in the areas of engineering design, project planning, architectural metal installation and construction management.